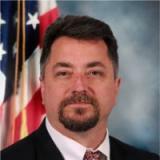 James Morrison is a Computer Scientist with the Federal Bureau of Investigation assigned to the Houston Division.He serves as a local technical expert to the Special Agents and Task Force Officers assigned to the Houston Area Cyber Crimes Task Force. He assists in computer intrusion investigations and reverse engineers software to determine source and purpose of the malignant code. He has worked in the IT field for more than 25 years, including 17 years with the FBI. Prior to working with the FBI, Morrison was an engineer with Lockheed Martin at Kirtland AFB, NM and a UNIX/database administrator with the US Air Force at Falcon AFB (now Shriver AFB), CO and Clark AB, Republic of the Philippines. Morrison holds a BS in Computer Engineering degree from Colorado Tech University, a MA in US History from the University of New Mexico, and a MBA from the University of Phoenix as well as other professional certifications.